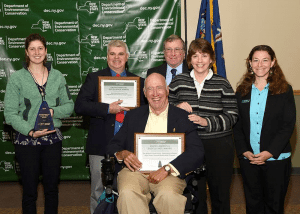 The Adirondack Mountain Club (ADK) and the Adirondack Chapter of The Nature Conservancy have announced that the Adirondack High Peaks Summit Stewardship Program was awarded the New York State Environmental Excellence Award at a ceremony on November 15th at Union College. 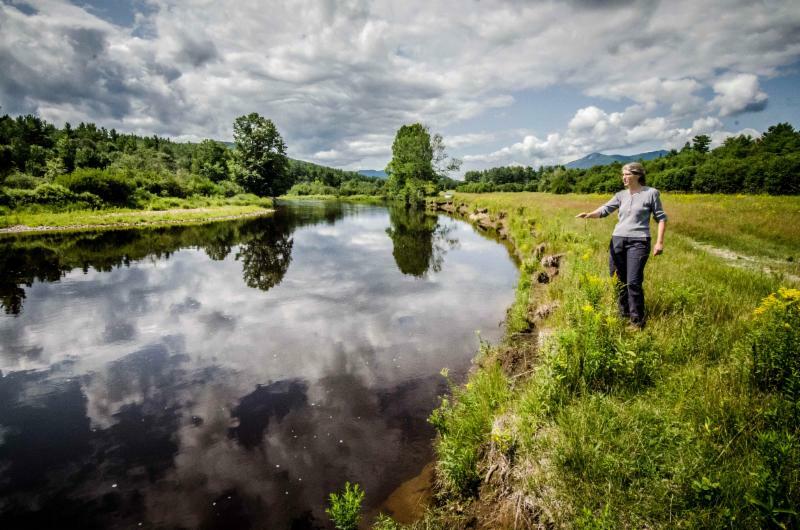 The annual award is given by the state’s Department of Environmental Conservation in recognition of outstanding, innovative and sustainable projects or programs and unique partnerships that are contributing to a healthier environment and economy and serving as models of excellence. According to the DEC, award winners are an elite group of committed organizations leading by example as serving as models of excellence within their industry and community. The High Peaks Summit Stewardship Program – a partnership of the Adirondack Mountain Club, the NYS Department of Environmental Conservation and the Adirondack Chapter of The Nature Conservancy – work to protect rare and fragile alpine plants on top of New York’s highest peaks. Repeated photopoint studies conducted throughout the program’s 27 years show that vegetation atop the summits is recovering and there is a statistically significant difference in recovery between peaks that have a Summit Steward and those that do not. Photos taken from the same locations years apart show more vegetation and fewer bare rocks. The improvements are more dramatic on those peaks served by Summit Stewards. In addition, the award recognizes that the program serves as a model for others in the state and across the country. More information about the High Peaks Summit Stewardship Program can be found on the ADK’s website. 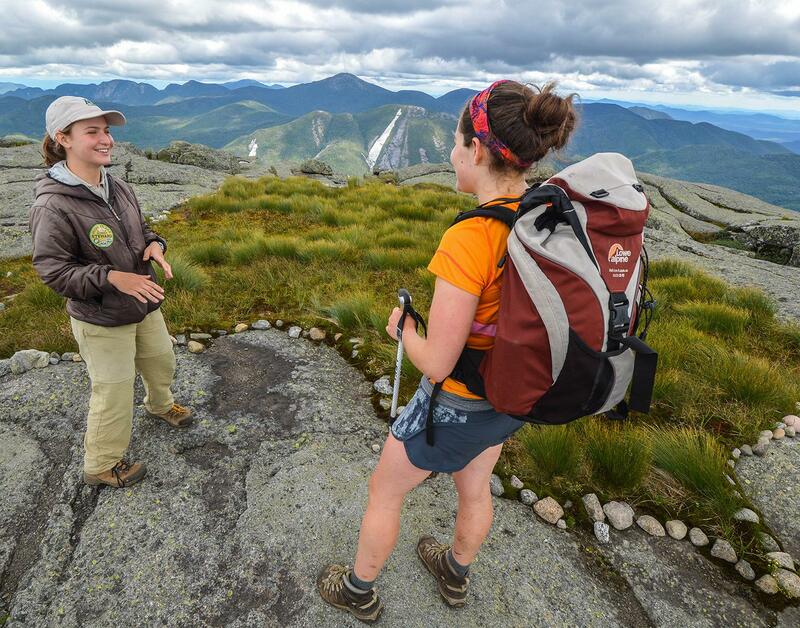 The #507 Fund at Adirondack Gives supports the High Peaks Summit Stewardship Program. You can make a contribution to protecting Adirondack summits here.